Bargain price oil: How long will it last? The Western Canadian oil industry is losing at least $100 million every day, according to an analyst's estimate. As oil from Alberta and Saskatchewan continues to sell at record discounts, American refineries are enjoying lucrative profit margins at the expense of Canadian oil producers. The sharp drop in oil prices began in late September and is expected to continue for roughly another month. The culprit is limited export pipeline space and refinery maintenance outages in the U.S. Midwest. Until those refineries are back up and running, oil prices in Western Canada will languish and so, too, will company revenues and government royalties. The refineries, including BP's Whiting, Phillips' Wood River, and Marathon's Detroit facility, each consume large volumes of Canadian heavy oil. That's why the impact on prices has been substantial. Zachary Rogers, a Houston-based refining analyst with Wood Mackenzie, said much of the refinery capacity should be back online soon — if the maintenance work follows typical timelines. "There is some conflicting data in that realm," Rogers said. "However, if you look at this from a historical trends perspective and usual time it takes for refineries to turn around their units, it's likely the majority of that refining capacity in the Midwest will be back online within the next few weeks." The difference between heavy oil prices in Alberta and benchmark prices in the U.S. is about $50 US per barrel. That figure, comparing Western Canada Select (WCS) and West Texas Intermediate (WTI), is expected to narrow by mid-November as shutdown refineries begin processing oil again. While many Canadian oil companies "can't seem to catch a break," said Rogers, many American refineries are enjoying a "substantial margin uplift." "For certain refineries, it's certainly quite the heyday, if you will, if you're actually online at the moment," he said. Not only are heavy oil prices selling at a heavy discount, but light oil in Alberta has also taken a hit as pipeline and rail transportation space is limited. The Western Canadian oil industry is losing at least $100 million every day and that's a conservative estimate, according to GMP FirstEnergy analyst Michael Dunn. Some Canadian companies also own refineries in North America and have secured pipeline space to other markets, which is helping to offset the oil price shock. Samir Kayande, an analyst with RS Energy Group, said the fundamental, structural issue behind the gulf in prices is a tight transportation market that affects more than just Alberta. "Oil that's produced in Western Canada and North Dakota has limited opportunities to get onto a pipeline in order to get it to market," said Kayande. "We get kind of stuck sometimes looking at just Western Canadian production. 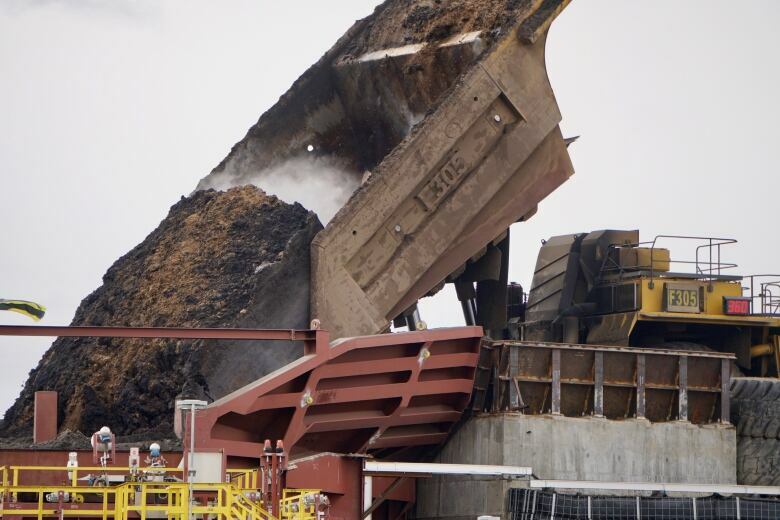 But, in fact, there's a resurgence in production volumes in North Dakota as well and that may be starting to impact the system a little bit." Combined with maintenance on a number of refineries, Alberta oil needs to go into storage, which is already quite full, Kayande said. "And in that kind of scenario, where there's not a temporary place to put oil for a short period of time, that's when prices can move a lot," he said. Railways will start moving more oil in the next few months, but he said what's really needed is more transportation capacity, like the completion of Enbridge's Line 3 pipeline project. But Line 3 isn't expected to be up and running until late 2019. In the meantime, expect the volatility to continue. "It's like you're walking down the stairs blindfolded — you don't really know exactly when you're going to get to the end of it. And that's kind of what volatility is like when prices are low like this," Kayande said. "You have very small changes at the margin that send prices moving both up and down by big dollar amounts. And we've seen a lot of that this year." Kent Fellows, an energy economist at the University of Calgary's School of Public Policy, said the discount on WCS could have a significant impact on provincial royalties if it goes on too long. The impact on corporate revenues in the oilpatch also affects the federal government in terms of taxes. "Over the longer term, an increase in WTI should be good news, but it's not as good news as we would like if we had better pipeline transportation," Fellows said. Mike Brown, a spokesman for Alberta Finance Minister Joe Ceci, wouldn't speculate on the impact of the differential on provincial coffers ahead of the government's fiscal update next month. "The differential is just one of a number of factors taken into account when making a budget," he said in an email to CBC News last week. According to the government, Alberta produces just over 3.5 million barrels per day of crude oil — about half of that is heavy, diluted bitumen and the other half is light crude oil. Inside the province, there are four refineries that process roughly 450,000 barrels per day (bpd) of crude — both light and heavy. The remaining three million bpd is exported out of Alberta: roughly two-thirds is heavy, one-third is light. Last month, when the gap between WCS and WTI was around $35, Saskatchewan Premier Scott Moe said the increasing price differential could cost the provincial government about $300 million per year instead of the $210 million they initially expected.